Ep 496: Milford Graves & Jake Meginsky • Paul Rutan, Jr.
[6 mins. 51 secs.] 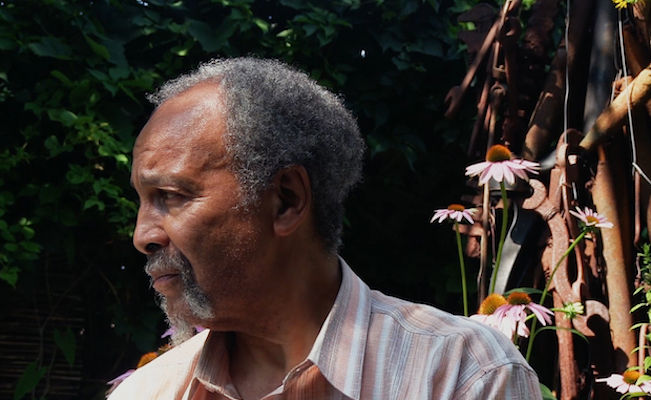 A new documentary called "Milford Graves Full Mantis" directed by Jake Meginsky is currently screening at the Metrograph in New York City. The film is a portrait of renowned percussionist Milford Graves, exploring his kaleidoscopic creative process and relentless curiosity. We have both Graves and Meginsky on the podcast. Please check out the schedule and see this exceptional documentary. The film will open theatrically on the West Coast on July 27th. [35 mins. 50 secs.] Then Paul Rutan, Jr. who has been restoring hundreds of films for many years, including all of the The Beatles films, discusses the 4k restoration for the 50th Anniversary re-release of "Yellow Submarine". This is currently screening at the IFC Center and many other theaters around the country. Check the website for screenings and other details.